Last weekend, the kids and I headed up to Maryland to see Grandma and Grandpa. We got in late Thursday night and after a snack and some running around, everyone headed to bed. We slept in and enjoyed a relaxing day of shopping at Target and the Columbia mall and a delicious lunch at Baja Fresh! On Saturday we went in to Baltimore to explore the Inner Harbor. Our first stop was the Dragon Boats. Christopher and Nicholas have been talking non-stop about riding the Dragon Boats after they saw them over the summer. We walked up and inquired about 2 boats (since there was a max of 4 passengers per boat). The lady asked how old Lexie was (since the minimum age was 2) and I told her she was two and a half. She asked how much Lexie weighed and I said 26 pounds and she informed us that you actually have to be 35 pounds to ride due to the life jackets. So not only did Lexie not get to go on the Dragon Boats, but Ben (at 32 pounds) couldn't either. They need to switch their sign to be a 35 pound minimum since not all two (or even three) year olds weigh that much!! 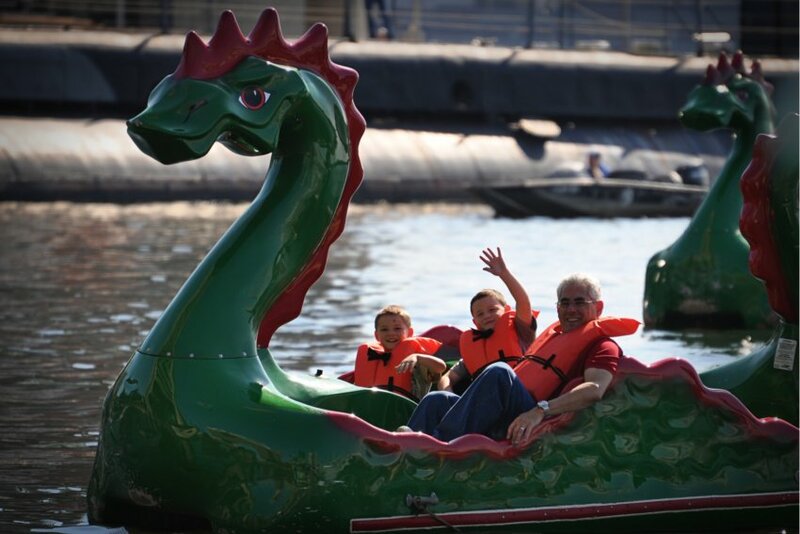 But Christopher and Nicholas were big enough to go on the Dragon Boats so they headed out with Grandpa. It was a pretty warm day and pedaling the boat alone is pretty hard work so it quickly wore Grandpa out- he took a break to talk to Auntie Janne on the phone and give her parking directions!! The boys had fun floating around and enjoying the sights though. Grandma, Ben, Lexie and I walked around for a bit, stopped for a drink, and then played on a bench while we waited for the "older boys" to finish up their boat ride. We took the water taxi to Fell's Point and met Adam and Janne for lunch. We had DELICIOUS pizza at Brick Oven Pizza, a local pizza place featured on "Diners, Drive-In's and Dives". After lunch we hopped on the water taxi again and headed to the National Aquarium for the rest of the afternoon. 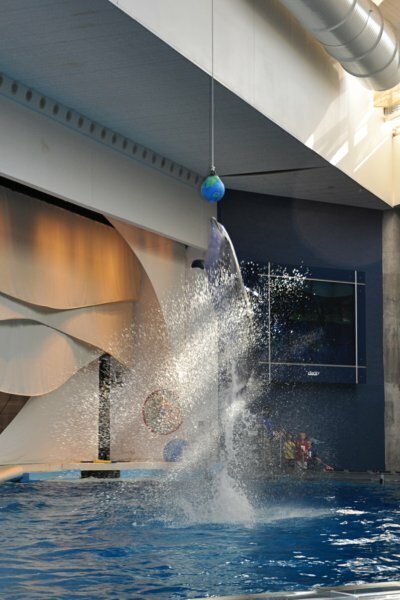 The highlight of the aquarium was definitely the dolphins. I love how they look so happy all of the time. And the kids were enthralled with them. I think they would have been content to sit there and watch them swim all day. 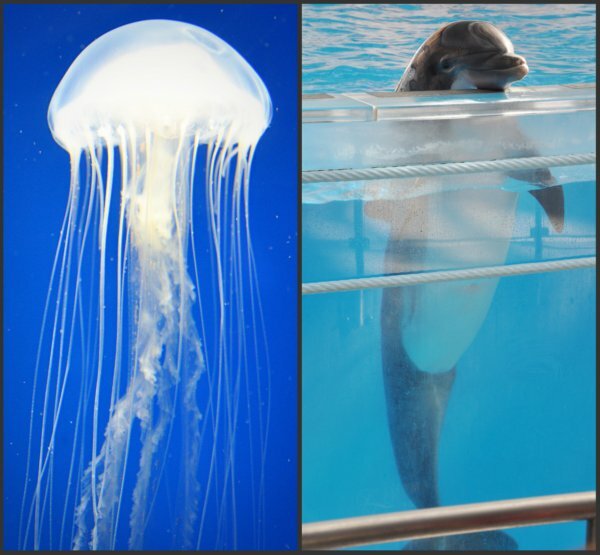 Two of my fave sea creatures: One I would never want to run into in the water and one that I would! We stopped for an ice cream break after the dolphin show and then continued with the rest of the aquarium. 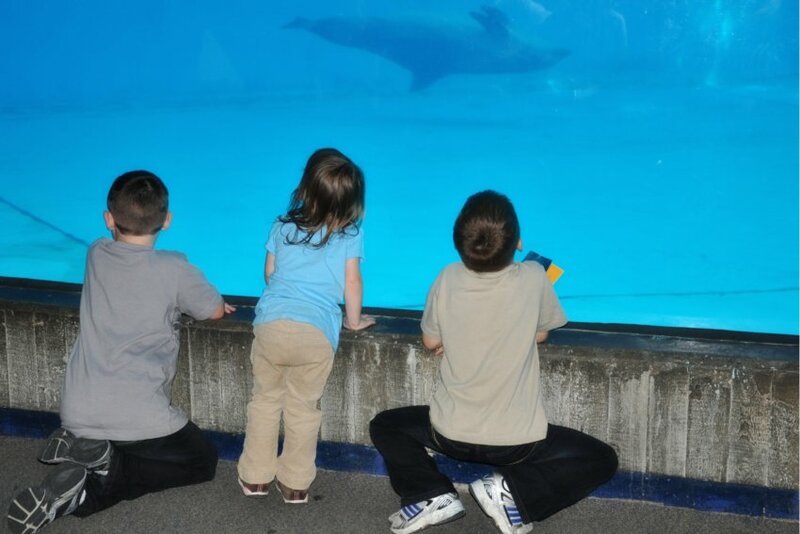 The kids enjoyed checking out the sharks!! We walked to Little Italy for dinner and wrapped up our busy Baltimore day at Amicci's with some amazing Italian food! 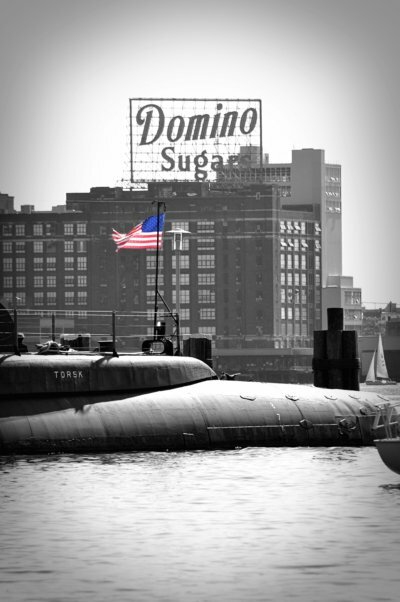 I love the photo of the submarine... you are soooo creative!